DAVID LE/Staff photo. 6/11/15. 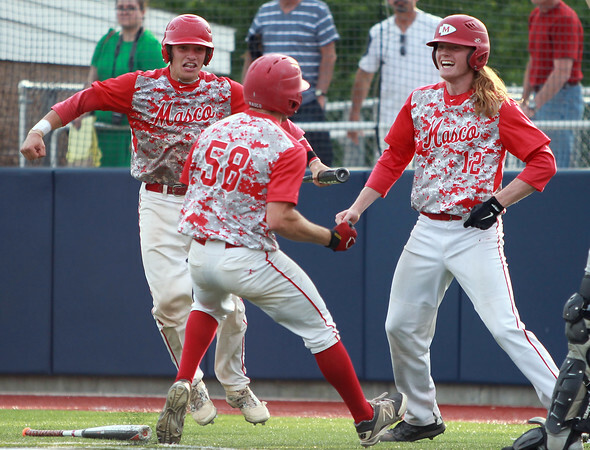 Masco senior captain s Zach Duval, left, and Greg Dougherty, right, greet fellow senior captain Chris Rich at the plate after he scored from first base. Beverly defeated Masco 10-7 in extra innings to advance to the D2 North Final and will face NEC foe Danvers on Saturday in Lowell.